Mr. Kinsley attended Detroit College of Law a/k/a Michigan State College of Law with a Juris Doctor degree. He is admitted to the State Bar of Michigan and to the United States Supreme Court. Mr. Kinsley is rated A.V. excellent by Martindale-Hubbell Peer Review Ratings system for 20 years and is a member of the Attorney Discipline Board for the State Bar of Michigan. Mr. Kinsley is a former Special Assistant Attorney General. 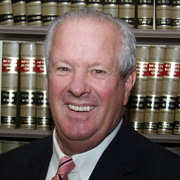 He was a long-term partner at Conklin, Benham, McLeod, Ducey & Ottaway. 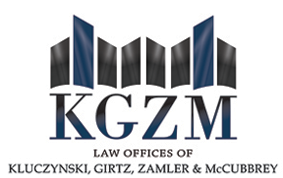 He became a partner at Kluczynski, Girtz, Zamler & McCubbrey, P.C. in 1995.